Graduated from Quinnipiac University in 1987 with BS in PT. Experience 31+ years working in outpatient setting with extensive emphasis on manual therapy. Possess strong skills on manual therapy applications to all areas of the body inclusive of cranial sacral therapy, TMJ, and also of lymphatic drainage techniques for edema management. Also skilled in vestibular therapy for dizziness, neurological problems with balance, falls, and developing skilled programs to manage these conditions. Experienced with general orthopedic conditions such as back/neck/knee/shoulder surgical and non surgical conditions requiring rehabilitation management. Experience also includes general work with neurological conditions such as a stroke or Parkinson's disease or other ailment involving the nervous system. DPT graduate from Quinnipiac University. Outpatient orthopedic therapist at IvyRehab Wallingford with a special interest in sports medicine, craniosacral therapy, pediatrics, and manual therapy. Per diem physical therapist in acute orthopedics, cardiac, and pediatric care at Hartford Hospital and Connecticut Children's Medical Center. Graduated from University of Connecticut. Twenty plus years experience as physical therapist. Have enjoyed developing manual therapy skills, aquatic therapy experience and functional therapeutic activity experience in balance training/ strengthening. Returning clients to the activities they love with decreased pain and decreased risk of further injury is very rewarding. Graduate of Quinnipiac University with Doctorate of Physical Therapy in May 2017. Specialties include women's health physical therapy including treatment for bladder/bowel incontinence, pelvic pain, sexual dysfunction, pelvic organ prolapse, pregnancy, post-natal, pelvic/abdominal surgery rehabilitation. Kate graduated from Quinnipiac University in 2017 with her doctorate in physical therapy. She has experience in outpatient rehab as well as short term rehab. Joan has been practicing physical therapy for over 57 years. She founded Faulkner Physical Therapy Group,Inc. 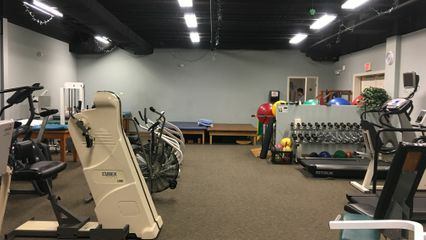 In 2015 Faulkner Physical Therapy Inc joined the Ivyrehab Network. Joan continues to practice one day a week. She specializes in craniosacral therapy/manual therapy. She treats children and adults.